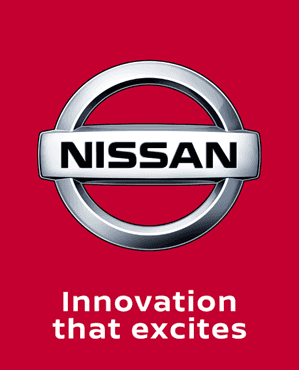 Explore the Nissan new car model range. With three conveniently-sited dealerships in Belfast, Newtownards and Chimney Corner (Newtownabbey), Charles Hurst Nissan is the largest dealer of the Japanese manufacturer's cars and vans in Northern Ireland. Over half of the Nissans sold in the region are bought from one of our locations. We put our success down to the reputation we enjoy for highly professional customer service, as well as our great choice of new and pre-owned vehicles, commitment to good value, and variety of trustworthy aftersales services. At Charles Hurst, we offer full aftersales care for your Nissan vehicle, as well as all makes MOT. Using specialist manufacturer provided equipment; a routine or full service with us is quick and efficient, allowing you to get back on the road sooner. We are a multi-faceted business able to attend to the needs of both domestic and corporate customers. Our experienced and knowledgeable salespeople are well-versed in every attribute of our range of Nissan cars, and give perceptive and impartial advice on how well each one would suit your fleet priorities. And whether you are a small independent trader or the fleet buyer for a multi-national business, the sales advisors at our dedicated business centre will give your business all the assistance you need in choosing the most suitable vehicle and financing arrangements. Contact Charles Hurst Nissan in Belfast today for enquiries about the largest and most reputable Nissan dealer in Northern Ireland.